We all like to think of ourselves as good people. But are we really? Christian B. Miller. 2018. Oxford University Press, New York. 296 pages. One needn’t look far for examples of poor character. From news and politics to entertainment and pop culture, we find seemingly limitless stories of people behaving terribly. Abuse, infidelity, corruption, malfeasance and any number of other vices seem to rule the day. At least, they do when we look at others. If we turn our focus from society at large and consider ourselves and our friends and families, the picture generally looks a lot rosier. We tend to think of that group as good people—caring, dependable, trustworthy. To make his case, Miller delves into published research, marshaling various studies from behavioral psychology (including some funded by his own research initiative, the Character Project), in an effort to understand what type of moral decisions people actually make in real life. Thereafter a significant portion of the book explores highlights from studies that show people to be alternately crueler and kinder in various situations than one might expect. Miller highlights research into four key areas in which we demonstrate our character (for good or ill): helping, harming, lying and cheating. Some of the controlled experiments he cites yield surprising results. For example, not only do we see shamefully low percentages of people volunteering to help others with simple problems, but among even some of the more praiseworthy situational reactions, volunteer helpers can appear to be inspired as much by environmental triggers—like the smell of nearby freshly baked cookies—as by any deep-rooted devotion to responsible behavior. At the same time, however, in experiments designed to probe our capacity for empathy, researchers documented more encouragingly selfless behaviors. Through several chapters of such research findings, Miller seeks to show that people cannot be neatly divided into good and bad; rather, we are each complex creatures with areas in which we will fare better or worse. Few, Miller suggests, can be relied on to display consistently good behavior stemming from consistently praiseworthy motivations. Likewise, it’s (mercifully) rare to find a person given over to all manner of depravity, consistently driven by the basest of impulses. Christian B. Miller, The Character Gap: How Good Are We? It’s hardly a revolutionary assessment. So what had first appeared as a provocative claim is rendered much less so when revealed to be largely an objection to overly reductive labeling. It’s a frustration somewhat representative of the work as a whole, which continually shies away from making any point with full confidence, in favor of a persistent “on one hand, on the other hand” approach. To be sure, a philosopher’s exploration of character is bound to be shaded in values of grey. But for a book that is presented as largely an exploration of relevant empirical research, the reader is left to draw frustratingly few concrete conclusions. An oft-repeated strain, rephrased in various ways, is that “the science isn’t in yet.” One is thereby left with an impression of a book not quite ready to be written. This tendency is perhaps nowhere more apparent than in the final chapter, where Miller explores the potential value of divine assistance. On the topic of empirical evidence for the benefit of religious involvement on character development, the research examples focus largely on correlation between measures of religiosity (church attendance, prayer frequency, etc.) and factors such as stress level, academic performance and involvement in student government. These are of necessity followed by the admission that they are correlational studies only and, moreover, arguably inapplicable to a discussion of virtue. That’s not to say that the book is without useful takeaways. 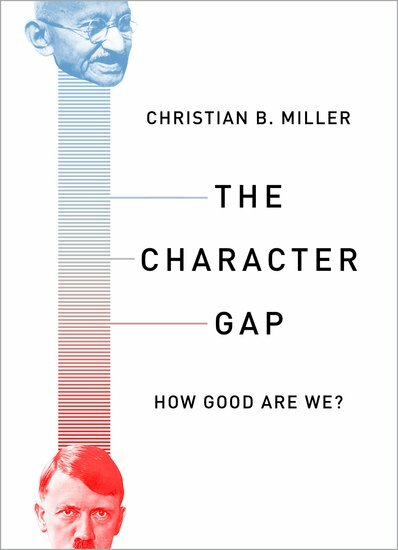 In synthesizing the research, Miller assembles several potential strategies for character improvement. Based on their empirical support (among other key criteria), he divides the strategies into categories he finds less promising (doing nothing while waiting for a natural maturation, psychological nudging toward virtuous behavior, etc.) and more promising (seeking moral role models, carefully minding the situations we get into, etc.). For the follower of Jesus Christ—whom Miller references in his concluding chapter—several of these will register as promising approaches indeed. The Proverbs have much to say about keeping oneself away from situations and people that can lead us down a wrong path. And certainly the Bible is rich with examples of fine moral character, none more eminent than Jesus Himself. But somewhat buried among Miller’s “less promising” strategies is an evidence-backed approach that should not be overlooked. 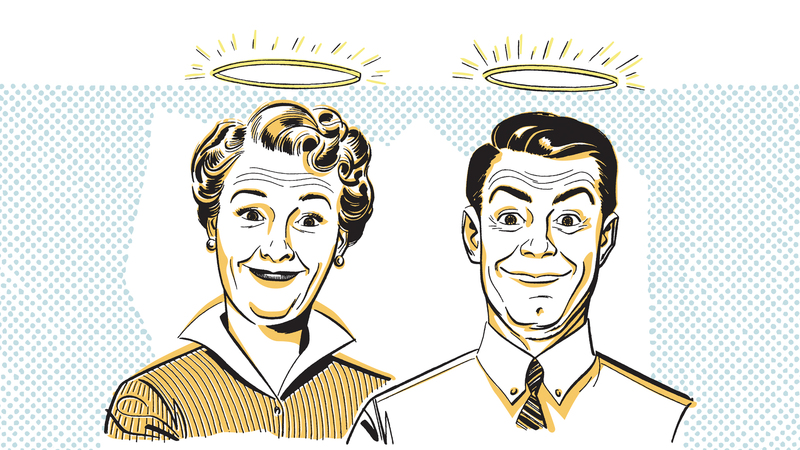 Even if it’s only a “nudge” toward virtue, it seems an effective one. In a similar vein, the apostle James directed his first-century readers to the laws of God, enjoining them to actually do and not just hear them. “For if anyone is a hearer of the word and not a doer, he is like a man observing his natural face in a mirror; for he observes himself, goes away, and immediately forgets what kind of man he was. But he who looks into the perfect law of liberty and continues in it, and is not a forgetful hearer but a doer of the work, this one will be blessed in what he does” (James 1:23–25). Accurate analysis of character is possible for those who use the law of God as a mirror. As James makes clear, though, regular reminders may be helpful, but follow-through is key. Of course, developing the kind of character that holds up to that standard is no easy feat. To emulate the moral character of Jesus, one must remember that it was built on adherence to and even expansion of the law He and His Father had set forth long before. Thankfully, followers are not left helpless to meet this high standard. As Miller notes, Jesus promised a powerful aid to achieving it. In highlighting the continuing importance of the law, He told His followers, “If you love me, you will keep my commandments. And I will ask the Father, and he will give you another Helper, to be with you forever, even the Spirit of truth” (John 14:15–17a, English Standard Version). That spiritual helper, described in the original Scriptures not as a person but as the power of God, can interface and work with a human mind to produce growth through obedience.